I can't wait to see the new Chihuly Garden and Glass exhibit. I love this Etoile Isabel Marant Heko Jumpsuit. Porcini Porcini, How Do I Love Thee? This weekend I bought some fresh porcini mushrooms at the farmers market. There are so many amazing things you can make with porcinis - pasta, risotto, crostinis - and so many ways to prepare them - grilled, roasted, sauteed. My in-laws were over for dinner last night so my mother-in-law did a quick saute with them to serve as a side dish. They were incredible. Next week I'm loading up on porcinis and trying a few new recipes. Place a cast iron skillet (or other pan) on a burner and turn the heat to high. Add the oil and allow to get really hot. Add the butter and let it melt. 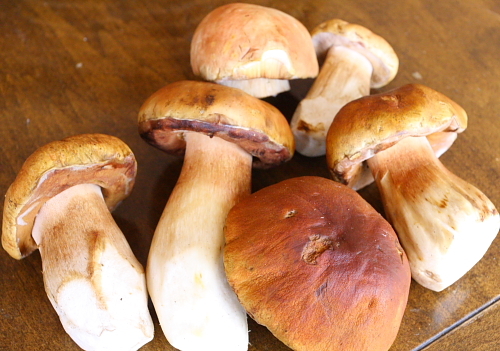 Because mushrooms give off a lot of moisture when cooking, you want a really hot pan. Once the butter is fully melted but before it burns, add the mushrooms and rosemary. Saute, stirring a few times. Season with salt and pepper and serve hot. Would be great with pasta or bread as well. 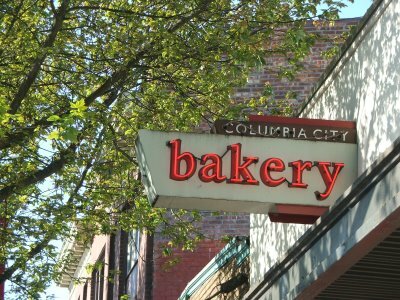 This weekend I returned to Columbia City Bakery after not being there for a few years. It wasn't that I didn't like it the first time - it's just a million miles from my house. We tried a half dozen things and it was all delicious but I went especially crazy for the strawberry rhubarb danish. So much so that I convinced hubby to go back two days later. They have a huge selection of pastries, desserts, fresh bread, pre-made sandwiches, quiche, tortas and more. 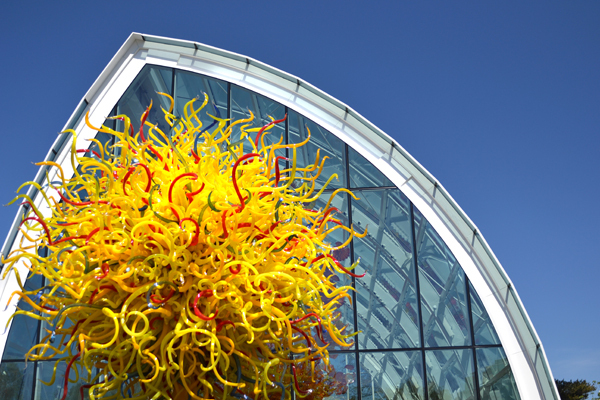 Worth a trip for a delicious breakfast or to stock up for a picnic at Seward Park. There's not much better than lunch or brunch at Le Pichet. It's a lovely little French cafe that serves consistently good food. My friend Maria and I went there for a long-overdue lunch and as usual, enjoyed every last bite. I called the restaurant to find out what was in the dressing. They didn't give me quantities so just play around with it. It was on the creamier side I'm sure due to the dijon and anchovies. Great bags. 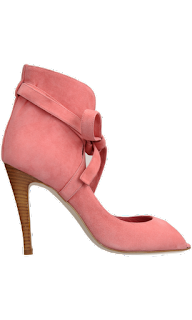 They make the look. Via Jak & Jil. We could all afford to give up a few of these, right?! How are you feeling about the new blog layout? Likey or no likey? Would love any feedback! I was looking for a new way to prepare halibut so I reached out to a few friends and got some great replies. My friend Erika said that she always cooks it with a ginger and soy sauce marinade. Sounded perfect. It reminded me of my chicken rice recipe so I referenced that recipe as well. It turned out great. My husband, kids and guest loved it. Erika grills her halibut on the BBQ but it was raining quite hard so I just roasted it. Next time I'd love to try it on the BBQ, and maybe boil the sauce for a minute so you can spoon it over the fish. I served it with white rice, my uncle's asparagus and my hubby's cabbage. Remove skin and rinse fish. Combine ingredients and then marinate fish for 30 minutes to an hour. Cook for 8-10 minutes depending on thickness. I flipped it halfway through but might not be necessary. Serve with white rice. Spoon sauce over fish and rice, then sprinkle with more green onion. 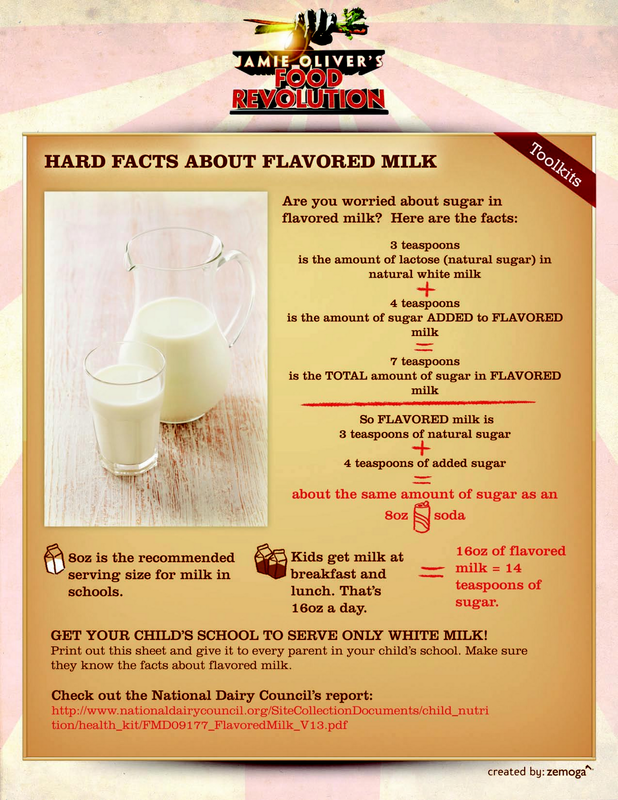 Get Flavored Milk Out of Schools! If you didn't watch Jamie Oliver's Food Revolution, then you missed the episode where he fills a school bus with 57 tons of sand to represnet the amount of sugar kids consume from flavored milk in a week. Watch the video here. There is no reason for all this extra sugar when childhood obesity and diabetes rates are what they are. Watch HBO's The Weight of the Nation and you will agree. Schools should get rid of juice while they're at it. My friend Ali tweeted this article. I thought it was really interesting and worth sharing. I know this is not how I would want to spend my last years of life. A personal choice to reflect on, as well as considering how this issue contributes to the current health care crisis. An eye-opening article about the types of labor practices that go on so we can get our online orders shipped free and fast. You can also view the full article here. I heard the HBO special, "The Weight of the Nation," is a must-see documentary. It's a 4 hour special you could break up over a few nights. A fitness guru I know and respect said that it's filled with useful information and that even if you are already pretty educated on the subject, it's still worth watching. 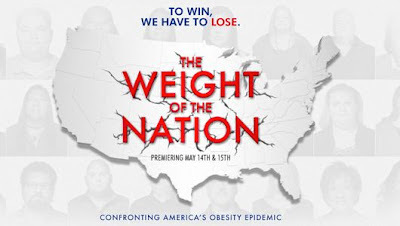 "HBO joins forces with the Institute of Medicine to create a 4-part documentary that explores the consequences, choices, children and challenges — all through the lens of the obesity epidemic." I love the Wild & Spicy Greens mix from Alm Hill, sold weekly at the Ballard farmers market. I thought the blend seemed like a perfect match for this salad, inspired by Dinner, A Love Story. Great salad. Even the husband loved it. Combine vinaigrette ingredients into a jar and shake vigorously. Toss with greens, fennel and chives. Sprinkle with fresh ground pepper and serve. I'm obsessed with this green sauce lately and could eat it on everything. It's a combination of the sauce I created for Halibut Fish Tacos, my sauce for Grilled Chicken Tacos and this recipe for Aji Sauce. It's the perfect summer sauce for your BBQ dinners. It's good on chicken souvlaki, chicken tacos, halibut fish tacos, flank steak, rice, drizzled on asparagus and more. I love this simple green salad. It's perfect this time of year with the fresh asparagus and pea shoots from the farmers market. Simple and light yet still very flavorful. Combine dressing ingredients in a small jar and shake until you get a creamy texture. Toss dressing over salad and serve. I've been saving some Stokesberry Farms chicken thighs in the freezer waiting for the right excuse to make Vij's Family Chicken Curry. It's really good and makes a ton of food but my kids wouldn't eat it so I save it for when we have guests over. My mother and father-in-law came over for dinner last week so it was a perfect excuse. 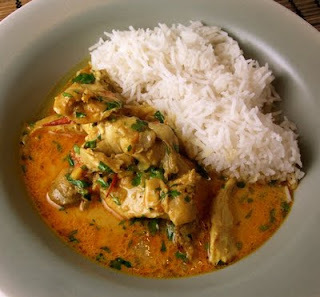 She is an amazing cook so I'm always intimidated to cook for her, but this curry recipe is fantastic so I could cook with confidence. I served it with basmati rice, Roasted Curried Cauliflower and Chickpeas and Kale. This is a great menu if you're having guests over. You could even do most of the cooking ahead of time and just reheat before the guests arrive. I love to buy the handmade pasta from Pasteria Lucchese at the Ballard farmers market. It's frozen so it lasts forever. When you're ready to use it, just throw it straight from the freezer to the boiling water and it's done in 3-6 minutes (depending on the cut). Part of Operation Pantry Cleanout is getting through the 10 containers of frozen pasta I have. I was looking for suggestions on how to cook a few of the pastas so I went straight to the source and emailed Sam. He had great suggestions. I liked both and would make them again. 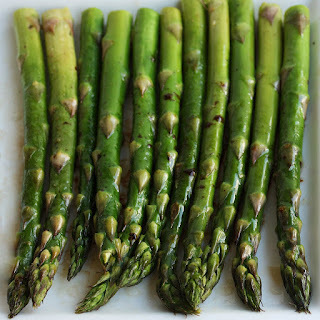 I served them with broiled asparagus and salad for a quick, delicious and satisfying dinner. Bring water to a boil and add salt. Throw noodles straight from freezer to boiling water. Cook for 5 minutes. Drain noodles and throw butter in the pan to melt. Sprinkle in truffle oil, stir to combine with butter and toss noddles back in. Sprinkle with grated cheese and a sprinkle of pepper. Stir to combine, then serve with more fresh grated cheese on top. Bring water to a boil and add salt. Add oil to a saute pan and turn heat to medium. Saute shallots until almost done. Toss ham in with shallots and saute for a minute. Then add peas, cream, lemon zest, and pepper. Drain the noodles and throw straight into the pan with the sauce. Toss and serve. I threw in some grilled asparagus as well and it was tasty. Ah, the beloved Sofia Coppola for Louis Vuitton Suede Asphalt Bag I'm obsessed with. Two years later and it never gets old. 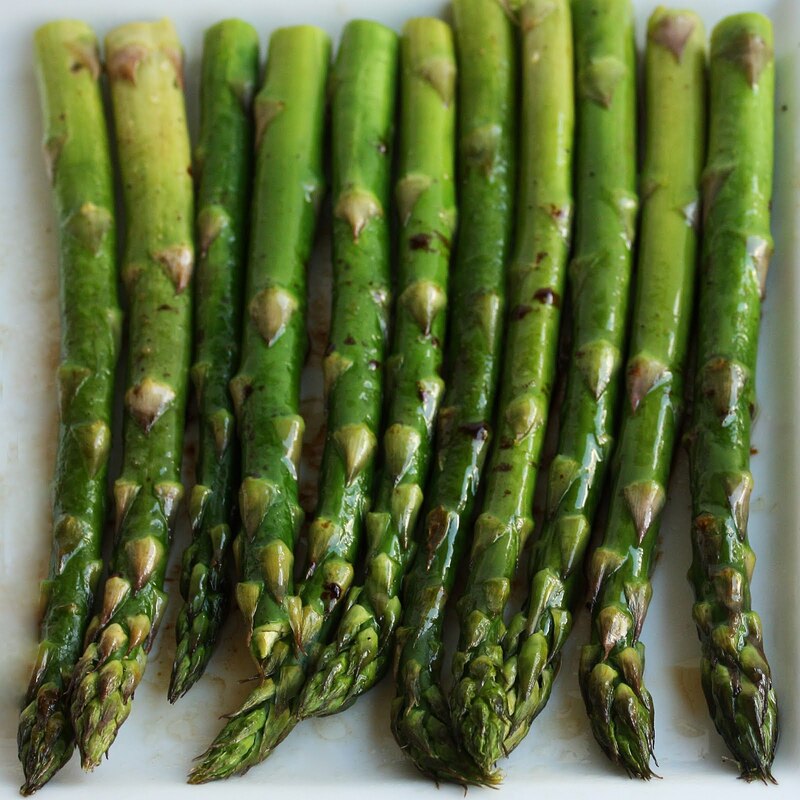 I wait all year long to have asparagus, and then I go crazy, eating it almost daily. 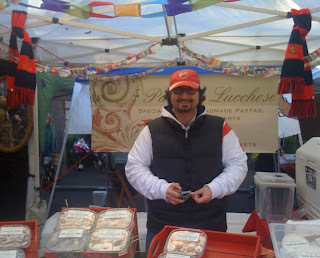 Just this past Sunday at the farmers market I bought five bunches to last until this coming Sunday. There are so many fantastic ways to enjoy it: simply grilled, boiled then drizzled with sauce, stir-fried, in pasta, as a soup, you name it. Here are some ways I've prepared it although my favorite is just simple grilled or roasted. What are your favorite ways? Please share! I bought the documentary, The Art of Flight, for my husband for his birthday and we both loved it. I was mesmerized by the talent and fearlessness of the snowboarders, the beauty of the places they ventured, and the cinematography that captured it all. It is such a cool film and one I would definitely watch again. The cinematography is incredible and breathtaking. The maneuvers had me on the edge of my seat and I didn't want to look away from the screen for the entire length of the movie. Absolutely worth renting. This article speaks to me right now as I'm in the midst of my pantry cleanout and going through every nook and cranny in my house to purge stuff. Spring cleaning always feels so good. 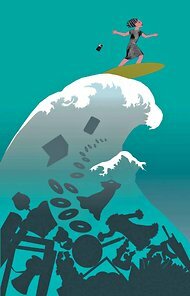 Amid success in purging and organizing physical objects, a look at clearing things that can be as burdensome: smartphones and tablets, friends who are an emotional drain. 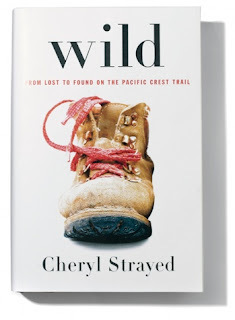 I just finished the book, "Wild," by Cheryl Strayed and highly recommend it. I loved it and couldn't put it down. "A powerful, blazingly honest memoir: the story of an eleven-hundred-mile solo hike that broke down a young woman reeling from catastrophe—and built her back up again. At twenty-two, Cheryl Strayed thought she'd lost everything when her mother died young of cancer. Her family scattered in their grief, her marriage was soon destroyed, and slowly her life spun out of control. Four years after her mother's death, with nothing more to lose, Strayed made the most impulsive decision of her life: to hike the Pacific Crest Trail from the Mojave Desert through California and Oregon to Washington State—and to do it alone. She had no experience as a long-distance hiker--indeed, she'd never gone backpacking before her first night on the trail. Her trek was little more than “an idea, vague and outlandish and full of promise.” But it was a promise of piecing back together a life that had come undone. Strayed faces down rattlesnakes and black bears, intense heat and record snowfalls, and both the beauty and intense loneliness of the trail. Told with great suspense and style, sparkling with warmth and humor, Wild vividly captures the terrors and pleasures of one young woman forging ahead against all odds on a journey that maddened, strengthened, and ultimately healed her." 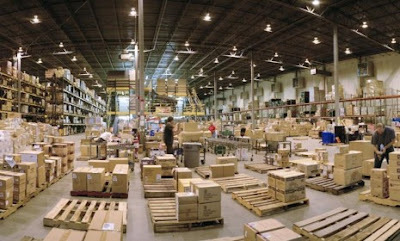 Click here to see a YouTube clip about it.